Nthabiseng is a 25-year-old woman who has spent much of her youth in the care of the Daughters of Our Lady of the Sacred Heart (OLSH). She was only 11 years of age when she arrived at Bakhita Village, a care facility for vulnerable young women who have lost parents to HIV/AIDS. Nthabiseng has fond memories of her time at Bakhita Village. She remembers the Daughters of Our Lady of the Sacred Heart as being “lovely” and “caring”, while she was also able to receive a well-rounded education, with a focus on social development as well as academic achievement in preparation for adult life. Following her time at Bakhita Village, Nthabiseng began studying to be an auxiliary social worker in Johannesburg. She felt a call to something different, however, and in 2013, she decided to take another path and study nursing. She is now awaiting her exam results. Without the support of the family of the Missionaries of the Sacred Heart, Nthabiseng’s life would have been very different. Thanks to the generosity of our MSC mission friends, Nthabiseng has been able to live like other children and to complete her education while growing up in a safe, secure, and comfortable environment. Because of these efforts, Nthabiseng can now look forward to a bright future. Nthabiseng now volunteers at the Holy Family Care Centre in Ofcolaco, which is run by the Daughters of Our Lady of the Sacred Heart with the help of funding from the Missionaries of the Sacred Heart. 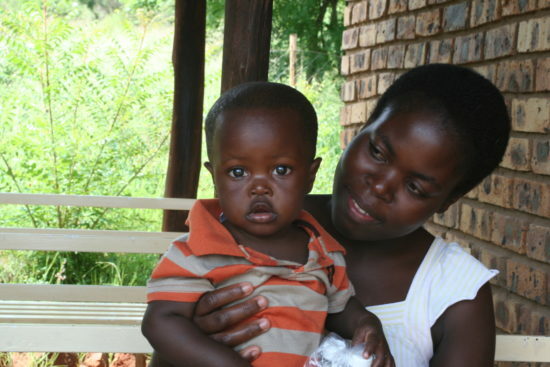 The centre is home to around seventy children who have been orphaned as a result of HIV/AIDS. Her medical knowledge and nursing background are a real blessing when it comes to working with children who have complex health issues, and she is a valued volunteer at the centre. Nthabiseng’s life was changed for the better, thanks to the care of the family of the Missionaries of the Sacred Heart, and now, she wants to give something back even as she looks to her future ahead. Nthabiseng’s smile says more than words ever could. However, there are thousands of children across Africa who are, at this moment, orphaned and alone. Our missionary work in Africa changes lives and saves lives. However, costs are high, and the urgency is mounting. 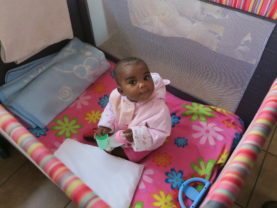 We’re asking you to help us to continue our work in South Africa by donating what you can afford to our mission fund. The smallest contribution can make a very big difference to the lives of those who have been impacted by HIV and AIDS, particularly in the case of children who have lost one or both parents to the virus. Time is running out for many children in South Africa, children who have nowhere to go and nobody to turn to. Our MSC missionaries in the field are working hard to protect as many children as possible, but we can’t do it alone. We’ve helped Nthabiseng to change her life for the better, but there are countless others who still need our help. Please lend your support to the Missionaries of the Sacred Heart, and help us to help those who need it most.